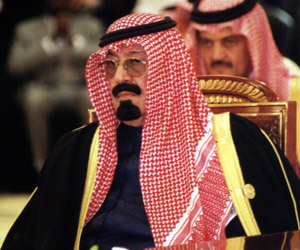 King Abdullah bin Abdulaziz bin Abdulrahman Al Sa’ud passed away last week. Rahimahu Allah. Aged ninety, the monarch had been in less than good health for some time. He is followed in accordance with a succession that was as consensually agreed to and as smoothly executed as any among ruling families in modern times. The position and role as Custodian of the Two Holy Mosques and head of state passed to the Crown Prince and Deputy Prime Minister, and the late king’s half-brother, HRH Prince Salman bin Abdulaziz, who had additionally served as the country’s Minister of Defense. The new Crown Prince, also in accordance with a previously stipulated and agreed line of succession, is HRH Prince Muqrin bin Abdulaziz. Prince Muqrin is the youngest son of King Abdulaziz, the founder of modern Saudi Arabia. He received his higher education in Great Britain and is an accomplished pilot as well as a former Minister of Intelligence. He is a half-brother of the late king and also of the new king. One of King Salman’s most remarkable and groundbreaking initial acts was unprecedented: he introduced a member of the younger generation of princes to an official position in the direct line of succession to the future position of king. The new Deputy Crown Prince and Second Deputy Prime Minister is HRH Prince Mohammad bin Nayef, who is also the Minister of Interior. Prince Mohammad bin Nayef succeeded his father in that role when the latter passed away three years ago. The following tribute is by National Council Founding President and CEO Dr. John Duke Anthony. Dr. Anthony met with and had the opportunity to observe the late king at close hand numerous times over the past half century. Included were more than thirty occasions when Abdullah either led or was a member of the Saudi Arabian delegation to the annual GCC Ministerial and Heads of State Summits that Dr. Anthony attended. The following essay is the first of several that will be appearing from Dr. Anthony on various aspects of the impact of King Abdullah’s vision and leadership. King Abdullah was more than revered. He was widely respected. Above all, he long enjoyed and merited the trust, confidence, and loyalty of his people. Prominent public opinion surveys and poll after poll revealed the high regard in which his fellow citizens held him. HRH Abdullah bin Abdulaziz Al Sa’ud, Custodian of the Two Holy Mosques and King of Saudi Arabia. Seated behind him is HRH Saud bin Faisal Al Sa’ud, the kingdom’s long-serving Minister of Foreign Affairs. Photo by Dr. John Duke Anthony. King Abdullah held the powerful positions of Custodian of the Two Holy Mosques, Commander of the Faithful, head of state, and Shaykh of Shaykhs. Like few other leaders in the Arab countries, the Middle East, and the Islamic world, he was simultaneously one of the most beloved leaders of his time and in the region beyond Saudi Arabia’s borders. Much of the reason had to do with the fact that, despite the trappings associated with his being a monarch, he was down to earth, modest, and approachable – forever relatable to Bedouins, city dwellers, and high-level dignitaries alike. His tastes, like the tribal and once-Bedouin soldiers of the Saudi Arabian National Guard that he led the longest – from 1962 until he became ruler in 2005 – were simple. His manner was direct, his style unpretentious. Not many heads of state have been known, as he was, for their association with bocce ball, an Italian game similar to bowling. In such leisure time as he had, Abdullah loved to play the game – not on grass or asphalt, as its aficionados are wont to do, but on the sand in the desert with his friends and others with whom he felt comfortable. King Abdullah’s passing marks a serious event in the history of the kingdom that, thanks to him, became a pivotal actor in international affairs to a greater and more diverse extent than any would have imagined when he became king. As ruler, reformer, and foreign policy decision-maker, the late king provided the needed steady hand and firm direction to lead the kingdom through turbulent times. His domestic, regional, and international achievements during a period of great tensions and uncertainties will accord him a place among Saudi Arabia’s greatest leaders. The “Arabia, the Gulf, and the GCC” blog features insights and analysis from the National Council on U.S.-Arab Relations as well as information about the Council’s programs, projects, events, and activities. Founded in 1983, the National Council on U.S.-Arab Relations is a non-profit, non-governmental, educational organization dedicated to improving American awareness, knowledge, and understanding of the Arab world. Learn more about the Council at ncusar.org. Yemen: How Near or Distant a Resolution to its Present Conflict?